in Beauty Reviews on May 25, 2017. 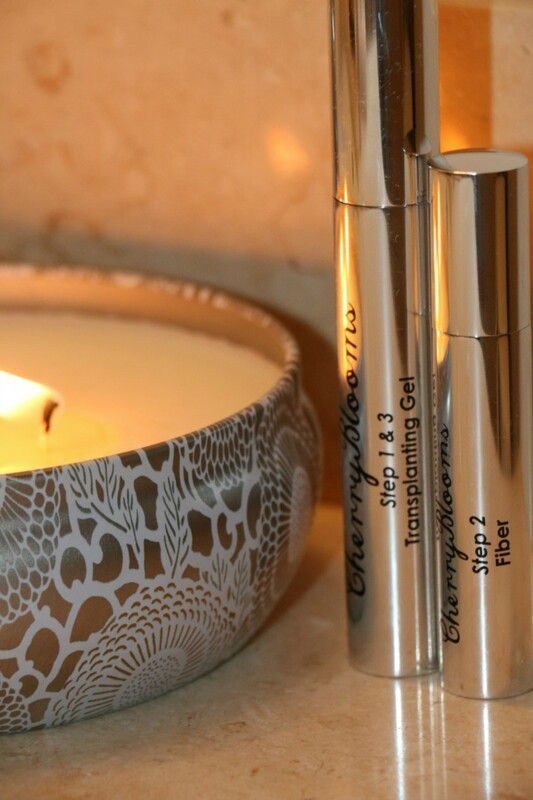 Much like most women my age, I'm always on the lookout for ways to make my lashes and brows look thicker. I'm a still a young(ish) woman, but my thirties have brought a few surprises with them like thinning brows and less lush looking lashes. You may remember when I mentioned that I was giving Rodan + Fields Lash Boost a try. Well, until my miracle growth happens, I'll be over here testing out products that help give me the youthful look I'm after. And, thankfully, I tried two more products recently that can help me with that quest. Let's talk about fiber lashes and brows! Fiber lashes and brow products consist of a powdery material that build up to make it look like you have more going on there than you do. Does anyone else get bald spots in their eyebrows? Hormonal changes seem to control mine and I'm forever seeing a new patch of hair disappear in those brows of mine. It's beyond frustrating. 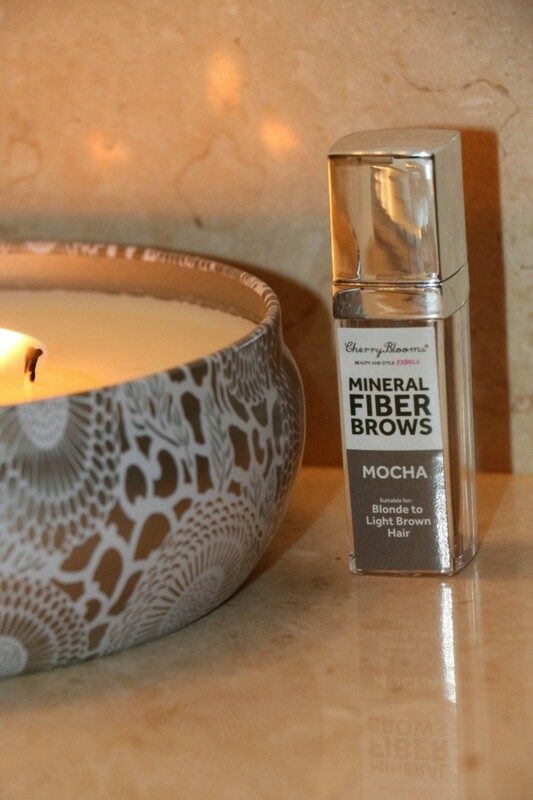 Thank goodness for the Fiber Brow product from Cherry Blooms! After one application, those bald spots weren't noticeable at all! And did I mention that it's semi-permanent? So, it won't wear off if you sweat, for instance. which is a real problem for me and my eyebrow pencil in the summer. Bwah! 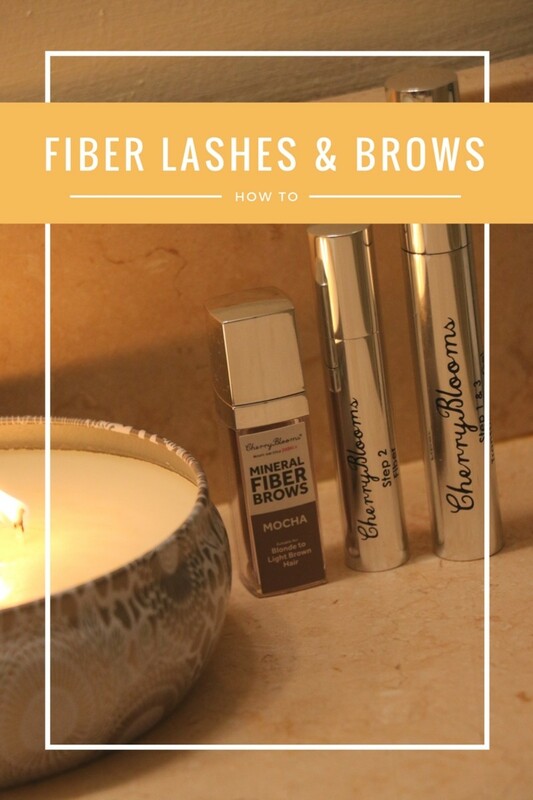 And much along the same vein as the Fiber Brow, their Fiber Lash product gives you va-va-voom lashes without the expense or time that goes into traditional extensions. Now it is a three step process. So, you you will have to add a few minutes to your routine. But if you're looking for a dramatic effect, Fiber Lash is worth a try! They look like six times as long! And your new lashes are cry and sweat proof until you wash them off. Just sayin'! For even more lash and brow tips, check out my thoughts on how to get lush lashes and fuller brows!